Here we go, competitors: our two-hundred and fifty-second challenge! 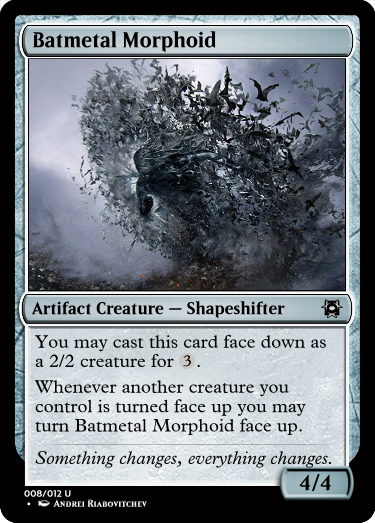 Morph has always been a favorite mechanic of mine, and I was hoping we would get a few more good cards to work with in Tarkir. Den Protector is fine, but I think we can do better. 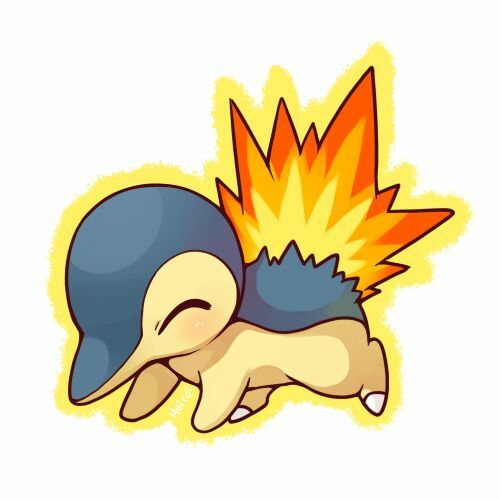 Design a card with a morph ability or one that mentions face-down 2/2 creatures. Whenever Silarka, the Secret-Breaker or another creature you control is turned face up, you may draw a card. 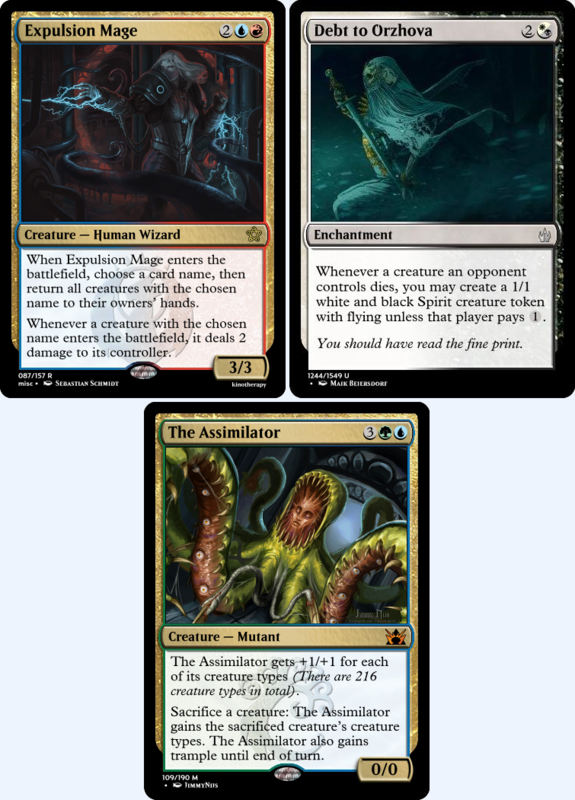 If you do, you may have that creature deal damage equal to the number of cards in your hand to another target creature. 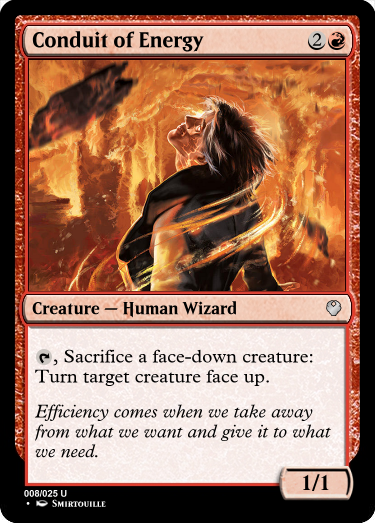 : Turn target face up creature you control face down. 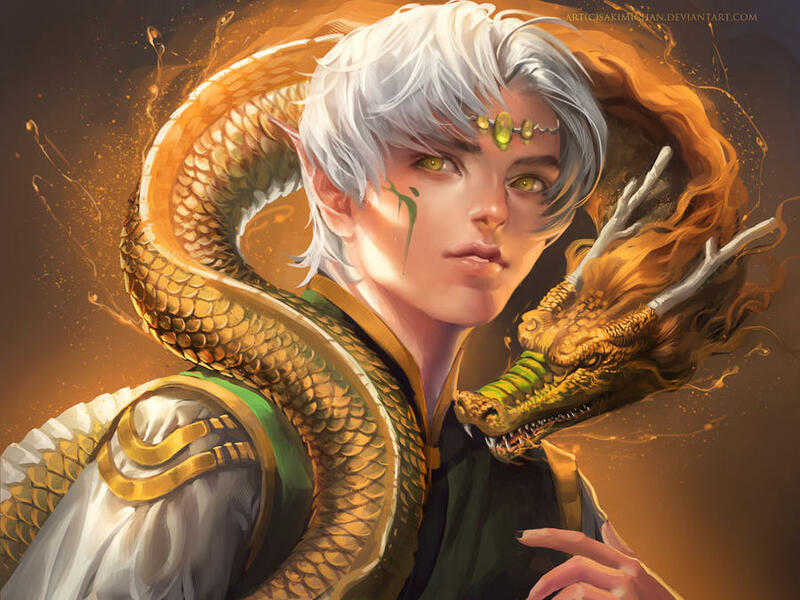 So I was creating tri-color enemy wedge set, contained on a plane where magic is expressed through the arts (In my world, specifically Music, Fine Arts, Theatrical and Performing Arts, Gastronomy and Perfumery). 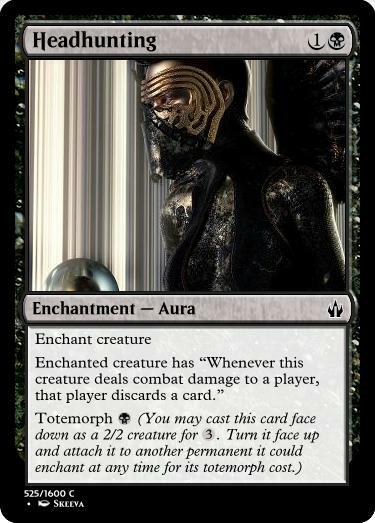 The "thespians" mechanic was morph and a little theme was cards that were "Plays"; cards that could temporarily allow your face down creatures to "perform" in different roles. Its a bit parasitic and a bit pushed but I quite liked the flavor behind it. So here is one of the Plays! : Target creature blocking a face-down creature you control gets -2/-2 until end of turn. 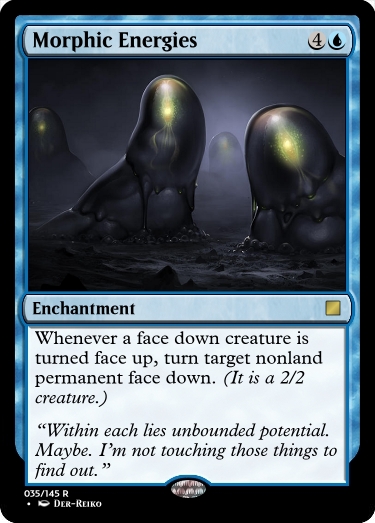 Exile all face down permanents face up. 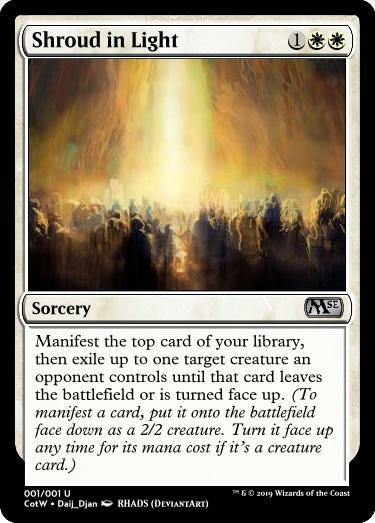 Return all artifacts, creatures, enchantments, lands and planeswalkers exiled this way to the battlefield under their owner's control. Shuffle all instants and sorceries exiled this way to their owner's library. Random idea off the top of my head. 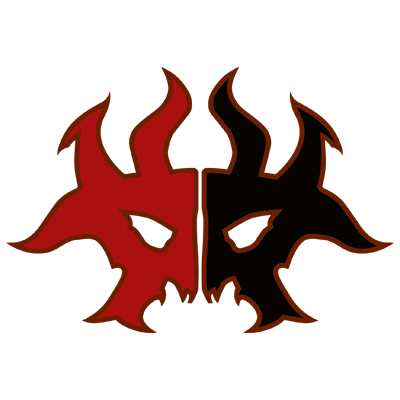 "An enemy who has revealed himself has essentially lost, especially against one as cunning as our lord." 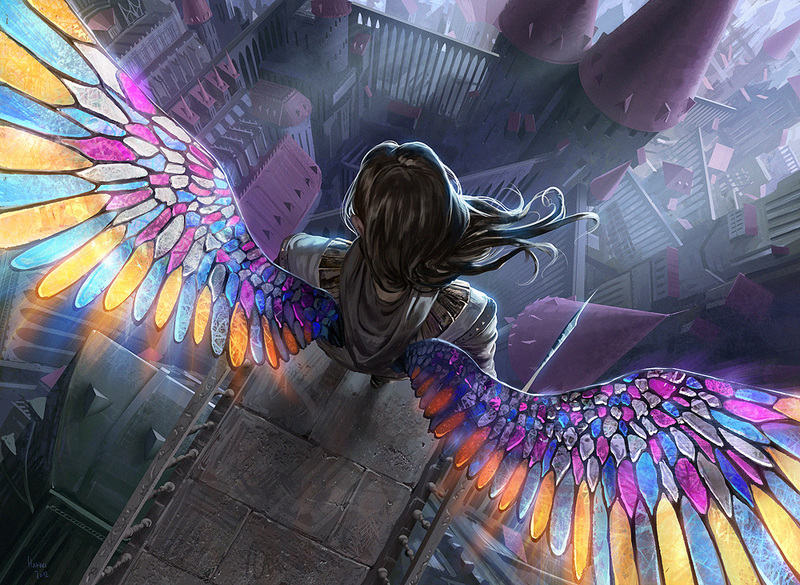 Return each artifact, creature, land and planeswalker exiled this way to the battlefield under its owner's control, then do the same for enchantments. EDIT: changed the card based on shifty's article. 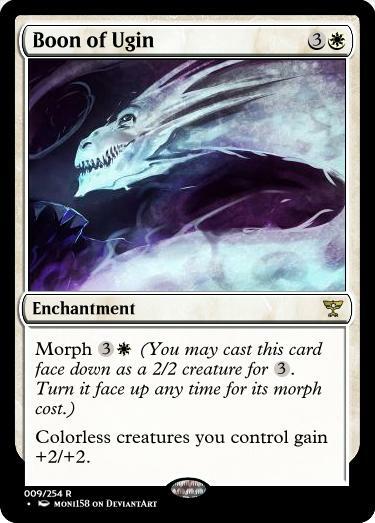 It's probably worth mentioning the Morph Rule for those who might care. 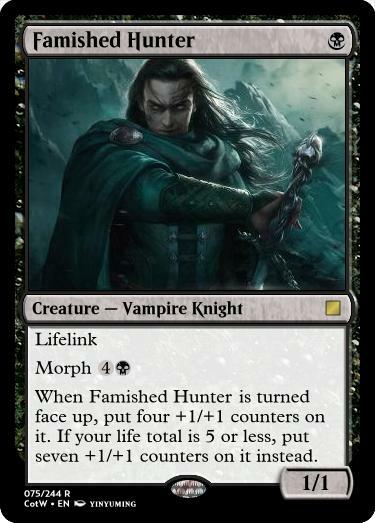 In Khans of Tarkir block, to cut down on the out-of-nowhere blowouts morph was prone to causing in its original incarnation, WotC imposed a new rule for morphs to follow: any morph whose face-up form can kill a 2/2 in combat and survive must have a morph cost of at least five mana. (Source and source.) Manifest obviously does not follow this rule, but megamorph in DTK does. I do think it's a perfectly valid choice to ignore this rule or come up with one of your own, but here it is for reference. shiftyhomunculus: huh, that's pretty useful, thanks for that! No matter the plane, the rules of math apply. 1 + 1 = 2. Or 1 + 1 = 5/5. Or something. 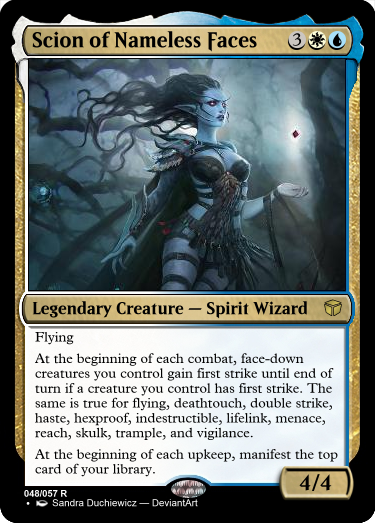 Player of mostly Standard and EDH. Lover of all things Tribal. 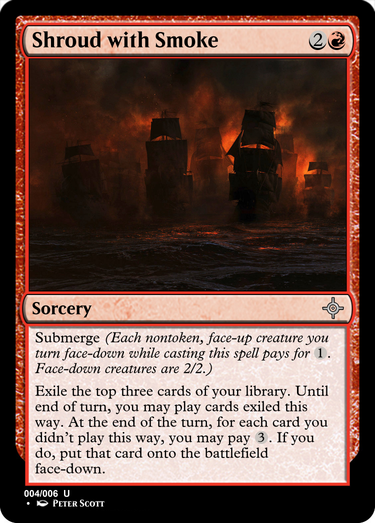 Exile the top five cards of your library face down. An opponent separates those cards into two piles. Manifest one pile and put the other into your graveyard. (To manifest a card, put it onto the battlefield face down as a 2/2 creature. Play on Fact or Fiction. I think it's really clean. 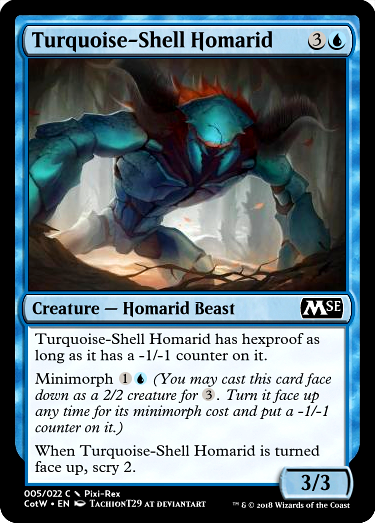 Could maybe need another color cost in it's mana cost. 4 mana for three 2/2's is probably too good. Thanks for the feedback. 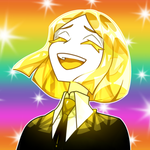 Changed my entry for now though but I may still switch back. 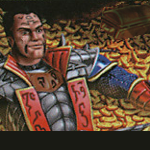 At the beginning of your upkeep, Ender of Tribes deals X damage to any target, where X is equal to the amount of face-down permanents you control. 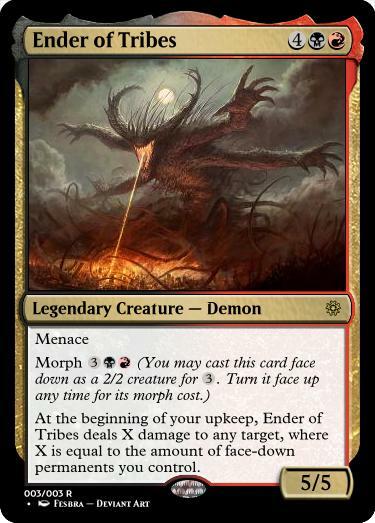 Ender of Tribes, while being a nice heavy hitting creature on it's own, benefits from morph decks by using other face down creatures to it's advantage. By providing other face-down permanents, you can fuel the Ender of Tribes damage output each turn. 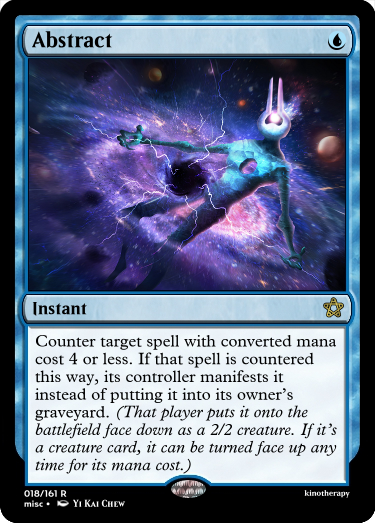 In addition, if you have multiple copies of this in your deck, you can cast them face-down to get creatures on the battlefield without worrying about Legendary creature rules, then flip them when their clone dies. And here's my take on the challenge! Went back and forth on this one a lot. Still not sure how I feel about cost and all that, but it's what I've got. Entry. Minimorph does it work. Im trying, but it feels weird. Thanks for all the cards so far! Here's my entry as a remake of Headhunter exhibiting the Totemorph mechanic. 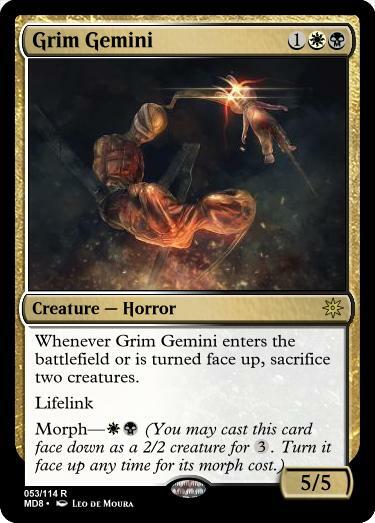 You know what, I'm not a huge fan of morph, but this was an opportunity for me to make a card that ameliorates my issue--namely, that if the card you manifested is an instant or a sorcery, you don't have a chance to cast it. Yes, it's League of Legends art. It took me far longer than I would have expected to come up with something I liked for this. I finally came up with something I think is both simple and unique, though. 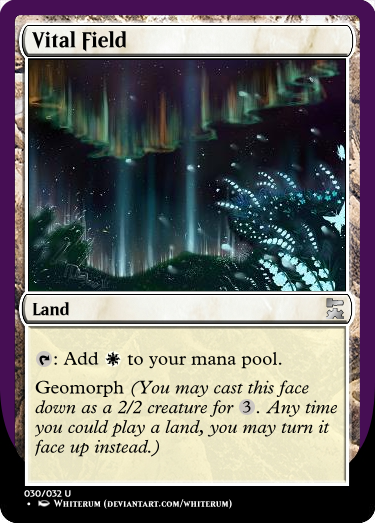 I think the implied cycle could have worked at Common, but I'm leaving it at Uncommon out of respect for the original morphland.